3d Printing as a hobby is great. 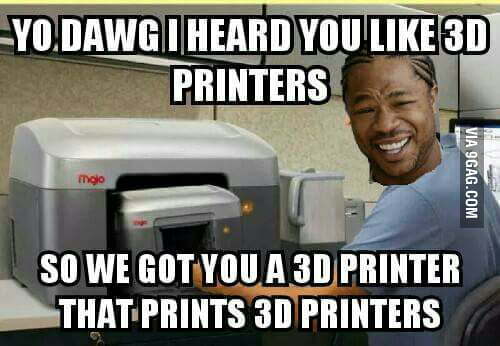 With so many 3D Printers available these days just about anyone can get one. Maybe you bought yours to expand a hobby, add to your business or just wanted to play around with this new tech. They have become a large part of how we design and build things. So It’s good to keep learning new things to do with them. In this article, I’d like to plant some ideas that might grow into something useful or at the very least add to your projects or to do list. Upgrades and Mods that will help you get the most out of your print and add to some DIY skills. Whether you bought a full printer or a kit you have options. With a working printer at hand, you can use it to make a second printer doubling your prints and halving your times. So you’ve been printing like crazy and now you’re low on filament use those leftovers to make spare parts. If you make a part for your next printer one roll at a time, in no time you will have all the parts you need to start a frame. After that electronics kits can be had as low as 100$. Plans are all over the internet but I would suggest a Prusa I3 using 20×20 as a frame because you can even print the extrusions and later replace them with metal as funds come available. Even if you bought a nice hi-rez printer you don’t always need hi-rez parts. Sometimes you just need to turn out a bunch of 3mm layer height parts fast. Using a second printer built this way you can make quickly lost cast models quickly with PLA for making aluminum parts (more on this later) or models. You will have one printer for high detail and one for quick and dirty prints. That being said you’re not limited to just printers you can do the same for CNC frames and a couple Arduino parts. Below is a list of some kits, Frames and build guides that can all be done Cheaply either as a full DIY kit or a build as you go setup. All of which can give you skills working with basic tools, Project planning, and money management. 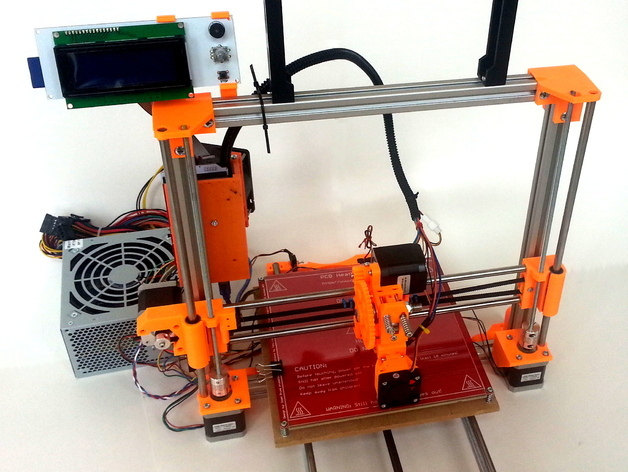 One of many DIY threads on how to build a Prusa I3 printer. Now let’s talk simple mods that you can do to Improve an existing printer. This one is a bit trickier because it involves getting under the hood of your printer, which can be a little scary for first timers. I also have no idea which printer you will have but as long as it is FDM they all use most of the same parts. If you bought something like an ultimaker I don’t suggest you tinker with it unless you know what you are doing. The brave souls and those of us with kits have some options. For simplicity, i’m going to continue to use the Prusa I3 as the platform to tinker with as it is the most common printer frame. Depending on your model you can upgrade the firmware, mechanical parts, and electronics. Firmware is a good start. If you bought a low cost kit or are building a printer from scratch at some point your going to need to flash some firmware changes or upgrades. There are a lot of communities out there for the various firmware options and one of the biggest is Marlin and Arduino. Guides are everywhere but one of my favorites is done by a youtuber named Thomas Sanladerer. He has quite a few guides on 3d printing and I will be posting a few as we go. Even if you don’t plan to mod the printer or firmware it’s good to know just what makes them tick. He has a great series that will get anyone with a little time off and building their own printers. A heated bed really is a must. Sure you can get by with painters tape if you print only PLA but whats the fun in that. Every day more and more exotic filaments come out and most require a heated bed even the ones that don’t can benefit from it.Without a doubt it’s one of the easier mods you can do with the most amount of benefit per dollar. Nothing is more frustrating than starting a print only to have it warp or pop off the build surface. I’m not going to tell you a heated bed will fix that but it will make it less likely add to that an enclosed build area and you will have much more success with filaments other than PLA. If you have the desk space for a 3d printer you can fit a simple enclosure. A few pieces of dollar foam board maybe a piece of acrylic and some hotglue and you and build an easy printer tent that will stabilize the heat around your print and lead to less warping. From there the sky is the limit. Installing a heated bed isn’t much harder but you will need to change firmware settings as the printer will have them set to off if your printer didn’t come with one. 3d printing is hard enough but adding to it the need to level all the time and it can be a headache. This is one of those Debate subjects so I will say this. If you don’t mind leveling it then don’t bother but auto leveling takes a lot of the stress away.It will also account for warping of a print surface. Learning to install a leveling system also helps you learn more of the marlin code as well. You have a few choices for auto leveling mechanical, Inductive and laser leveling but Inductive is the least likely to fail once it is set up. Though it won’t work with glass so keep that in mind when choosing. In part 2 we will look at x carriage mods, extruder options, Octoprint, raspberry pi and symplify3d as well as some printer settings that can keep you printing consistently with less headaches.